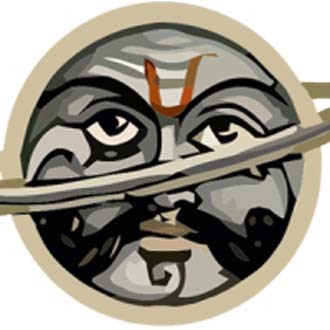 Saturn (Sani Graha) is the King, Senadhipathi (Commander-in-chief), Arghyadhipati (Water) and Meghadhipathi (Clouds) for Vedic New Year Vikari Nama Samvatsara (2019-20). Because King (Saturn) and Minister (Sun) are natural enemies, this will lead to differences within different ministries. Governments will introduce more welfare schemes for the common man. More taxes will be collected, which can be spent for development. Central and State governments will have disputes. More number of ministers travel abroad to get new projects and friendly relations with other countries. Opposition parties will become intolerant and try to spread communal riots. Prices of Gold and Silver will suddenly drop during middle of 2019. Indian government can try and implement new reservation quota for financially backward people. New government which forms in 2019 will be appreciable work. But loose talk of few ministers and parliamentarians can damage reputation. People will become more selfish throughout the world and less Philanthropic. Charity organizations, social welfare associations, orphanages, homes for physically or mentally disabled can suffer from lack of funds. Corruption finds new ways of implementation. Unexpected rainfall destroys food production. More rain on mountains, in cities and less in villages. White collar criminals hiding in other countries will be extradited to their own country. Invesgation of their cases reveal shocking details about persons involved. Courts will try and deliver maximum justice. Black color items will be in demand this year. 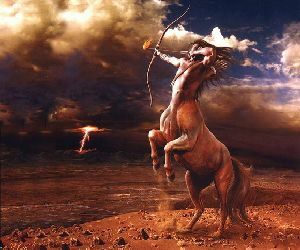 Saturn being the King and also transiting in Jupiter (Justice) owned sign Sagittarius, can do maximum for the poor and suffering people. Terrorists, Naxalites will attack security forces regularly. Natural Calamities in 2019 will be severe and leave long lasting damages. Many Asian countries will be forced into war situation. India, Pakistan, Afghanistan, China, Iran, Syria can be effected by border related tensions. More number of terrorists will be killed by security forces. Movies based on history and biographies will be ridiculed. Cinema can be used as a medium to twist truth and build own stories. Cheap and vulgar comedy will get maximum views on social media. People will forget what is good and clean comedy. Police department will act efficiently to get hold of smugglers, cyber criminals. CCTVs prove to useless in few crime scenes. Homosexuals increase across the globe. South India, Asia-Pacific islands (mostly Philippines), South China, USA (Florida, Texas, California) will be hit by natural calamities like cyclones, earth quakes or by constitutional hazards. Wind force along with rain damages agriculture. Big old trees fall. Islands will be the most effected. This year, rainfall starts late and will be lesses than expected. West coasts of many countries will be severely effected. Scams related to arms deals from past get exposed. Prices of Cement, Coal, Granite, Oils, Iron, Steel increase due to more demand. Frequent Fire accidents destroy public properties. Tax system will not be appreciated by traders and businessmen. Share market and Sensex remain unpredictable with lots of ups and downs this year. Changes will be implemented in Income Tax rules during 2019-2020.